The UK’s Top 5 Romantic Road Trips to Drive this Valentine’s Day! Only one week to go until Valentine’s Day! 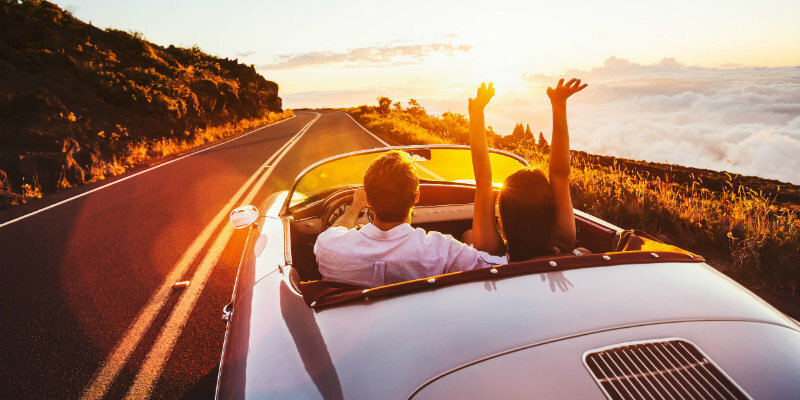 And if you’re looking to plan the perfect date, why not really impress this year and take your other half on a romantic road trip? For inspiration, we’ve done the research for you to find the UK’s top 5 romantic routes. Read on and see which you would want to visit for a Valentine’s treat! Along the ride, you can visit a number of impressive structures including the famed 1000-year-old ruins of Urquhart Castle on the Loch Ness banks. You can also discover some of the concealed and untouched beaches on route; be sure to visit Moray Firth, home to around 130 bottlenose dolphins! 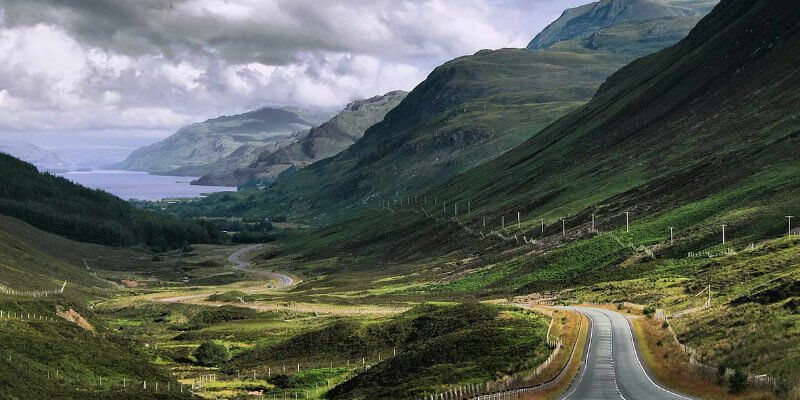 Finally, it goes without saying that the road will also take you through some stunning views of the highlands, which alone are worth the trip! Be sure to save some time for this journey however, 5-7 days of travelling are recommended to take in all of the sights. Offering both beautiful and relaxed surroundings, driving through the New Forest is a brilliant option for couples who are looking to take it easy and soak up the sun (hopefully!). Being less than one minute’s drive from the M27, it is easily accessible with countless activities and sights available for visitors. Picturesque villages are scattered throughout the area, not to mention thousands of wild ponies and donkeys also roam-free, so take care on the road! For keen animal lovers, the New Forest Wildlife Park at Ashurst offers the chance to get up close and personal with some of the local wildlife. And for those that appreciate cars, The National Motor Museum in Beaulieu features over 250 vehicles and recounts the history of motoring. 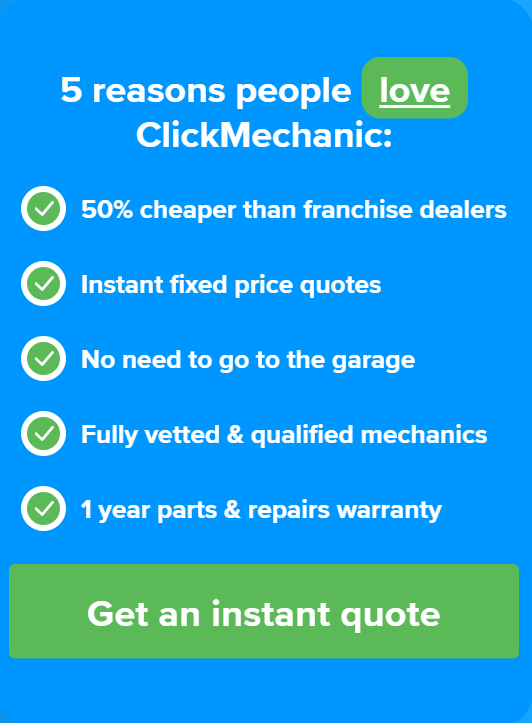 So there really is something for everyone! 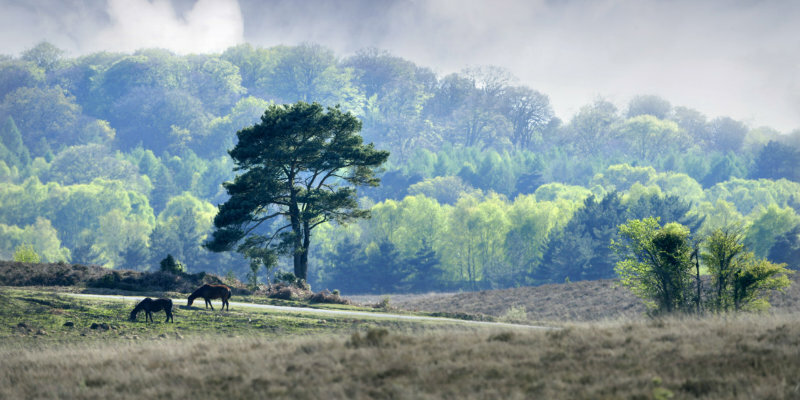 If you’re unsure of which route to take, the New Forest Tour offers an open-top safari style tour of the area and covers three key routes to see all of the best sights. This inspiring formation, or the Dark Hedges as it is actually known, was planted two centuries ago to decorate the entrance of Gracehill House, a Georgian mansion. 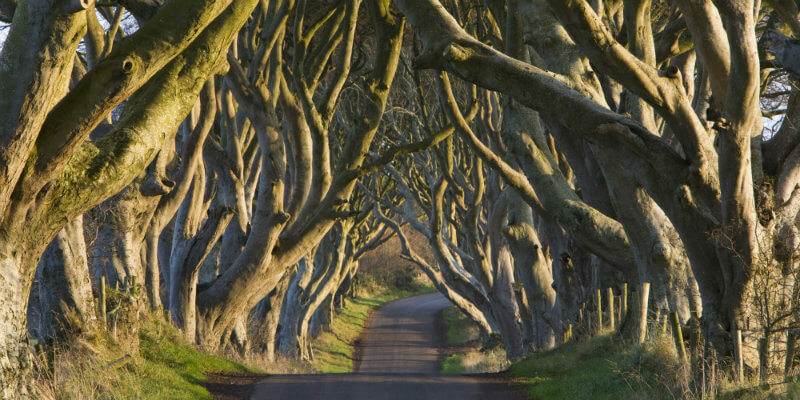 Today, it has become a renowned spot for photographs in Northern Ireland and attracts visitors from far and wide. Sadly, due to recent damage, it can no longer be driven directly down by motorists; however there is parking nearby at the Hedges Estate Hotel and it is more than worth the walk for this enchanting experience. It is indeed a beautiful road to visit this Valentine’s Day. But if you’re wondering which route to take to get the best views, why not follow the aptly named Romantic road? 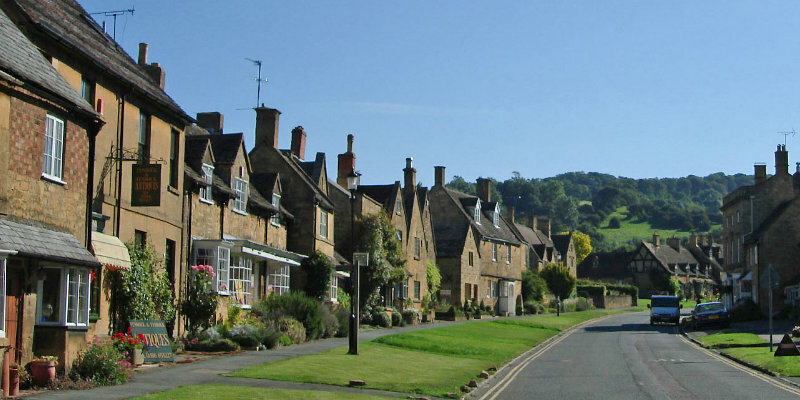 Cotswolds.info has mapped out its own circular route from Broadway which passes through Stow on the Wold and Bourton on the Water, taking the driver through a number of impressive sights. You will have the chance to explore the famed beauty of the Cotswold hill villages as well as the quant river valleys and the charmingly idyllic country pubs. Covering 45 miles in total, it’s also more than suitable for a day trip! 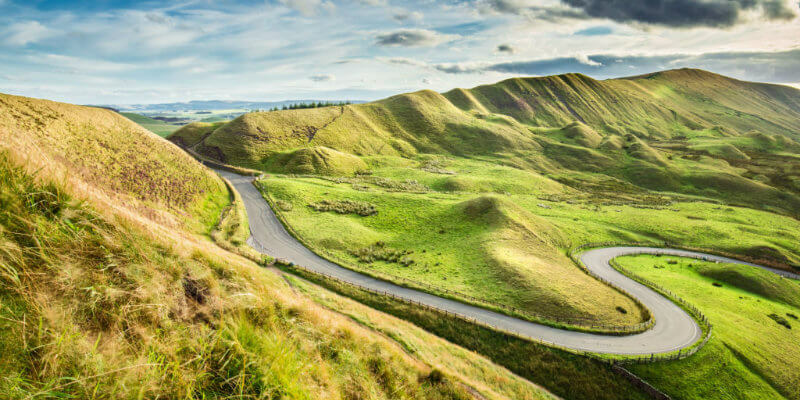 While the sheer size of this National Park means the possible driving routes are essentially endless, if you’re looking for guidance, Lake District Drives lists 15 possible routes to choose from. However, for a truly romantic experience, the Keswick to Borrowdale to Buttermere drive is a great pick. It features some of the most stunning sights of the mountain passes and allows you to stop and explore places such as Lodore Falls waterfall and Honister Slate Mine. The route covers 38 miles in total.